SNK has confirmed that its Samurai Shodown reboot will be coming to Nintendo Switch in Q4 2019, slightly after the release of the PS4 and Xbox One versions. Powered by Epic's Unreal Engine 4, the title is set in-between the events of the original Samurai Shodown and its fifth mainline entry. 16 fighters will make the cut, with 13 of those being returning characters and three being brand new. More fighters are expected to be added via DLC. The game will be at PAX East 2019, which runs at the end of this month. SNK will be hosting a panel at the event entitled 'Samurai Shodown: Resurrecting a Legend', which will feature producer Yasuyuki Oda, director Nobuyuki Kuroki, and original Samurai Shodown director Yasushi Adachi. + Exhilarating Weapons-Based Combat – Samurai Shodown carries on the legacy of the tense battles the series is known for, where players are always one strike away from death, and one powerful attack away from victory. + Evolving the Presentation – Using the power of Unreal Engine 4, SNK is able to modernize the unique atmosphere and setting of past titles in a gorgeously artistic package that achieves a detail and graphical quality like never before. + Unique Cast of Returning and New Warriors – Samurai Shodown welcomes back iconic characters from past iterations, including the swordsman Haohmaru, his rivals Ukyo and Genjuro, the shrine maiden Nakoruru, and fan-favorite Galford. 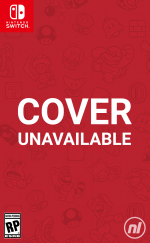 The starting roster will include a total of 16 characters—13 veterans and three newcomers to the franchise. + All New Gameplay – Carrying on some of the key fighting mechanics that made the series popular, such as the Rage Gauge, Rage Explosion, Sword Clash and more, Samurai Shodown will also include several new techniques, including a powerful, one-time use attack from each character called the Super Special Move. Can you really call it a reboot if it takes place within the canon storyline...? Either way, I'm super excited for this!! Cool, if it reviews well this will be the first fighting game I've bought since Tekken 3 for PlayStation. Remember when everybody played Tekken. Even though at the time people who played video games where still considered nerds although this perception was starting to change. Nice, didn't know this was coming to the Switch! <3 Galford! This looks great! Yes! Finally a confirmation! Must buy. Samurai Shodown is my favorite fighting game series of all time. So stoked about this!!! While it's a shame it's releasing later than other platforms, I'm glad to finally have it officially confirmed for Switch! I'm quite excited, the game looks fun, fluid, and absolutely beautiful. This is great news, I love Samurai Shodown games and this one looks stunning! I'm glad it will be released on the Switch! Edit: I love how the voice over says the names of some characters, specially "Earthquake" and "Charlotte"
Long as we know it's coming, can actively avoid other versions and wait for Switch. I can't even begin to say how excited I am for this one! Samurai Shodown is my all-time favorite fighting franchise! My only gripe is that the loading times need some work. Fighting games should always have quick load times between fights. Hopefully the Switch version will be faster in that regard. Blimey! Are the rumours true! This was mentioned last year...along with a more powerful Switch! I can't wait to try it out when I get to PAX East on Friday! Hopefully Ukyo will be available to play, assuming since it's called the 'PAX East 2019' trailer. EDIT: If it ends up being the build from the Gematsu gameplay, I'd be at a disadvantage since both Ukyo and my distant 2nd, Hanzo, would not be playable. Oh well, I guess it'll be my SNK vs. Capcom Chaos main, Earthquake, then. So still nothing has changed then. Yes! Been waiting to hear more about this for months now. So glad to know I'll be playing this on Switch too. My first fighting game ever was Samurai Shodown 1 so this is a beloved series for me. Now SNK, make a new Metal Slug please. @Borngis I think so. While a reboot could technically mean a re-imagining as well, it could also just mean a reset in that while the existing canon still exist, the story from here on out is reset for basically a fresh start. I’m definately up for this now I know it’s coming. I can't believe we're getting this one. Sooooo excited!!! I loved King of Fighters 13 and 14, but honestly looking at the gameplay here I think this one might be a bit too slow paced for my liking. Returning Characters: Haohmaru, Nakoruru, Galford, Earthquake, Genjuro, Yoshitora, Jubei, Charlotte, Kyoshiro, Ukyo, Shiki, Tam Tam, Hanzo. New Characters: ?, ?, ? So no Kazuki, no Nicotine, no Cham Cham, no Wan-Fu, no Shizumaru, no Rimururu, no Mina, no Gen-an, no Sogetsu, no Gaira, no Sieger, no Basara, no Yun-fei, no Zankuro and no Amakusa (which makes sense). Well I guess I could live with it being a good game then as more characters may come as DLC later. Hopefully it doesn't get butcher just for being a Switch port, BlazBlue and Dragon Ball FighterZ already prove that 2D fighting works on Switch so Samurai Shodown should work peanuts here and I'm definitely looking forward to this. They also say starting roster so I guess more will either be DLC or unlockable in-game. Here's hoping Shizumaru and Basara made it too. Yep. Building a new stick this year. Nice! Always great to see a new fighter being announced for Switch. 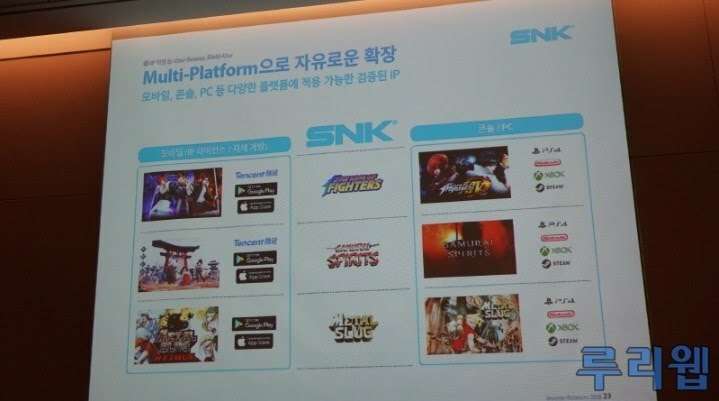 Awesome, SS was always my favourite SNK fighting series... actually it might be my favourite 2d fighting game series in general. @BionicDodo i remember seeing that image!!! Its just so much more exciting when the game is officially confirmed!! I’ll probably end up getting it on PS4. I could use more fighting games on Switch, but I wanna get this as soon as possible. ugh no same-day release across all platforms (PC player here). SNK, what in the F... Why do they keep doing this? And then wonder why their games aren't as prevalent or relevant anymore? @MrBlacky I'm gonna go with "because video games typically take longer than two years to develop". Just a wild hunch. Not all of them do, of course, but then again most big studios weren't rushing to put their games on Switch when it launched, seeing as how the WiiU was a sales disaster.